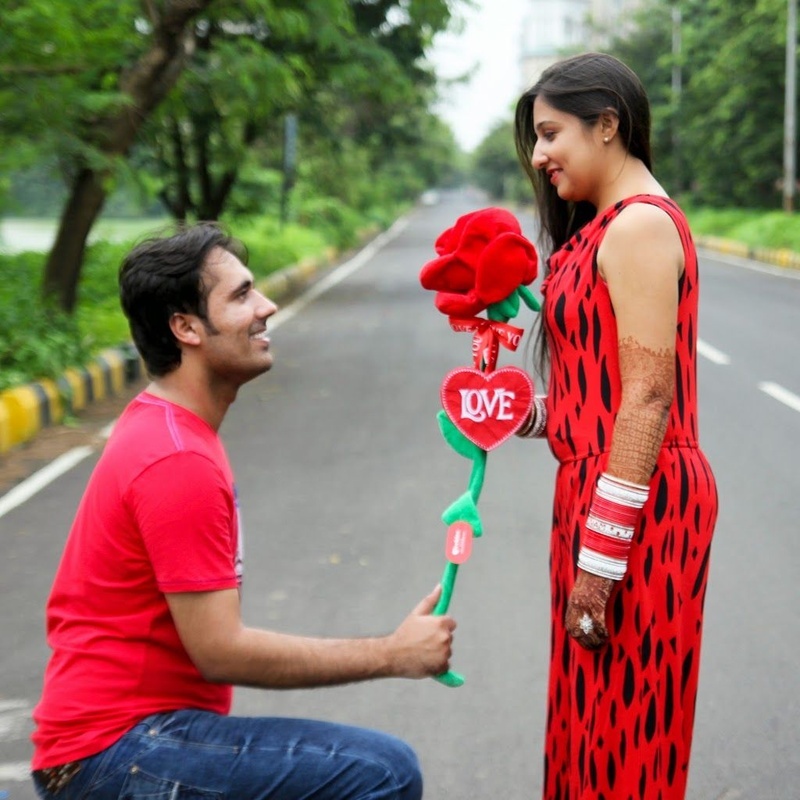 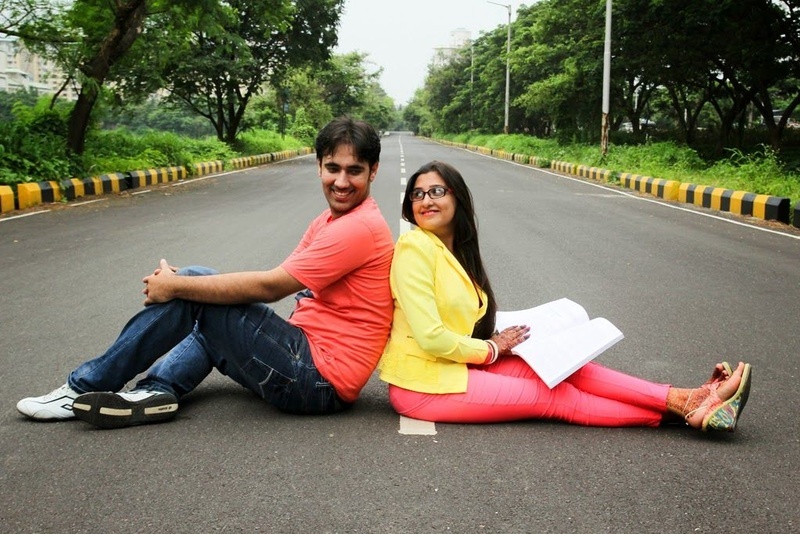 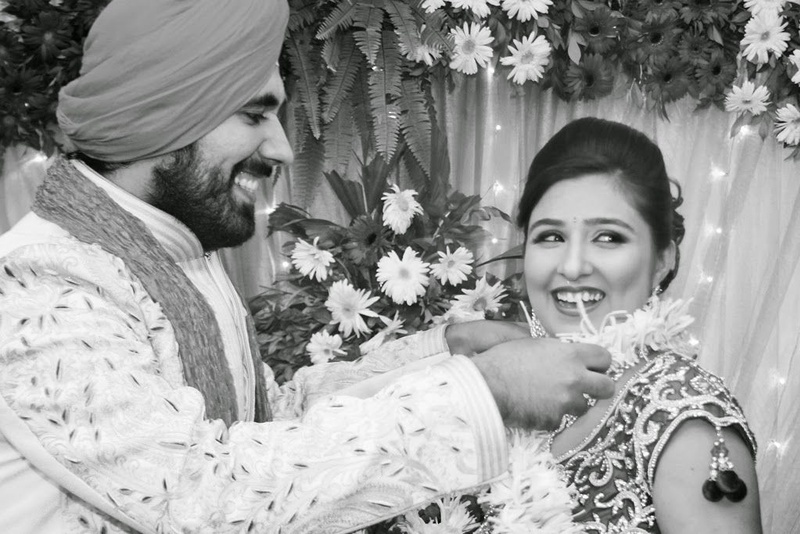 Amit and Honey’s marriage was not merely a union of two people but it was a union of two souls united as one for eternity. 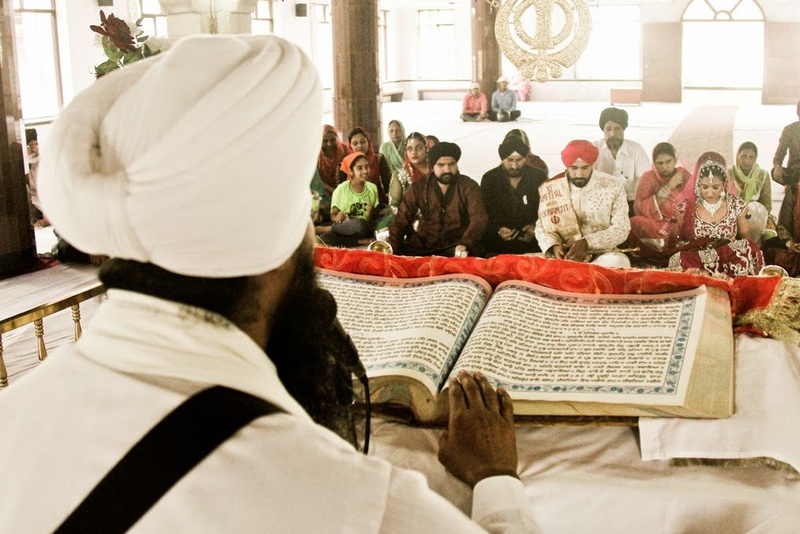 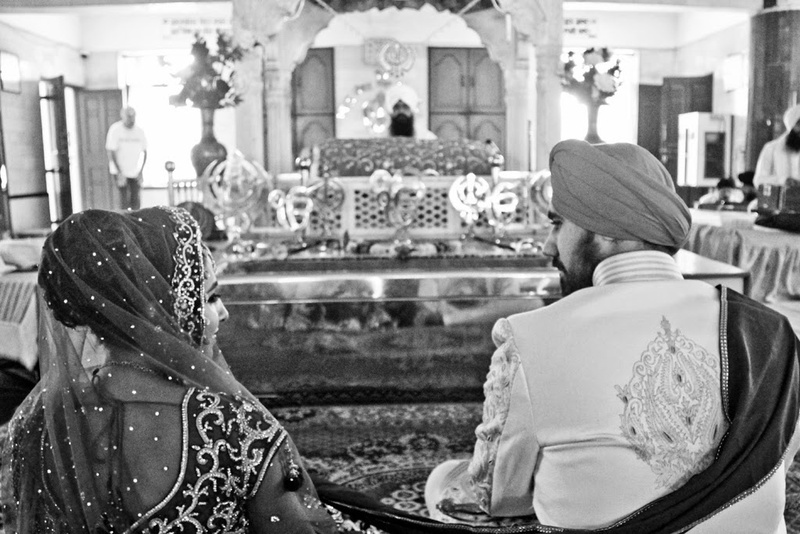 The priest recited vows from the Guru Granth Sahibji at their wedding that created an atmosphere of pure bliss and tranquility. 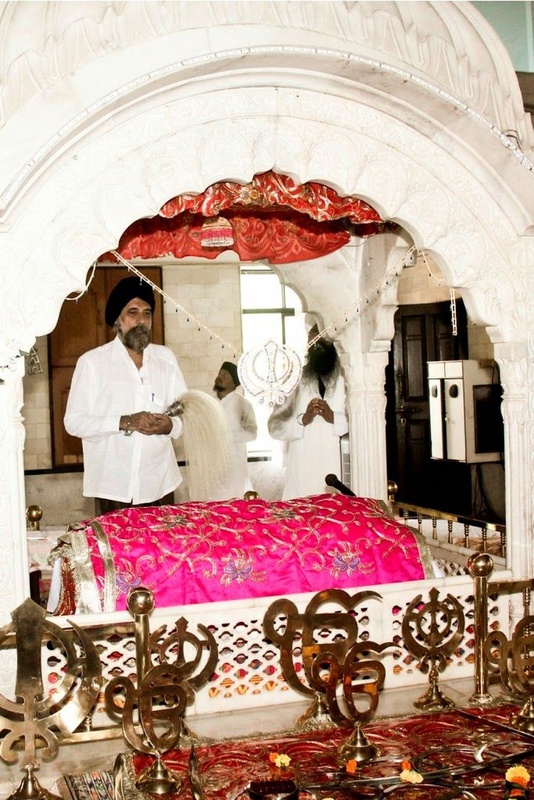 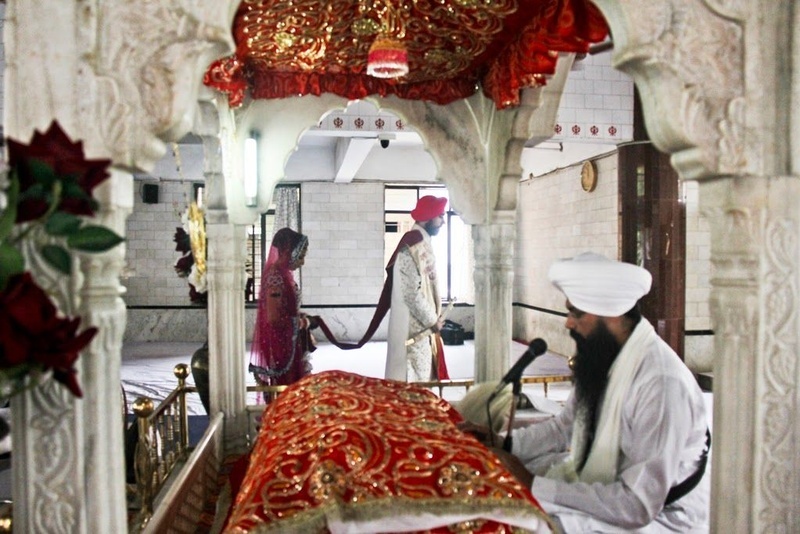 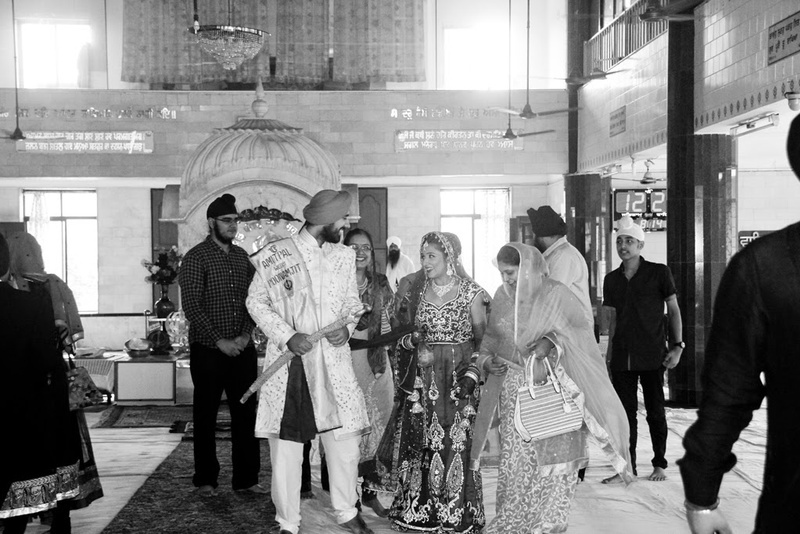 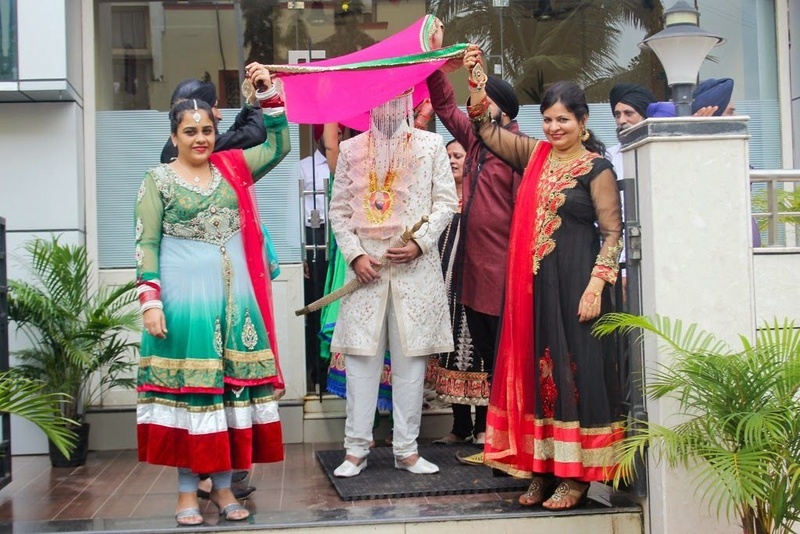 Their Anand Karaj was conducted at the Gurudwara where the couple encircled around the holy monument with a dupatta tied together. 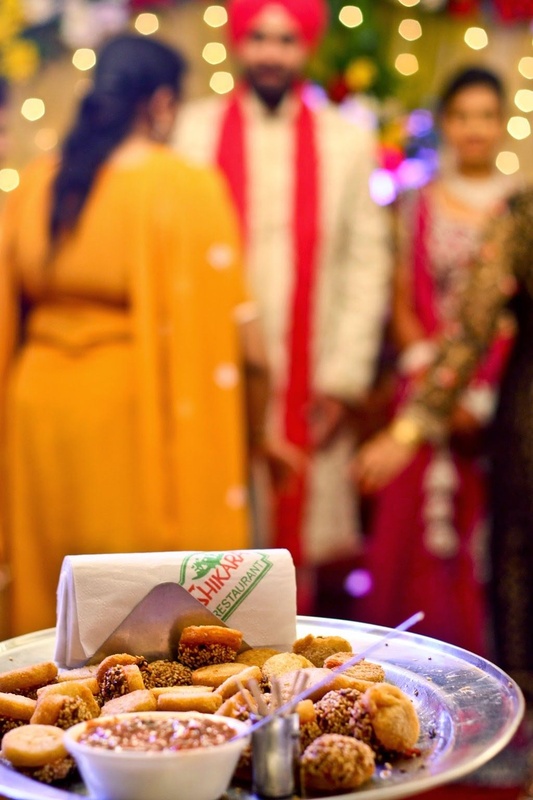 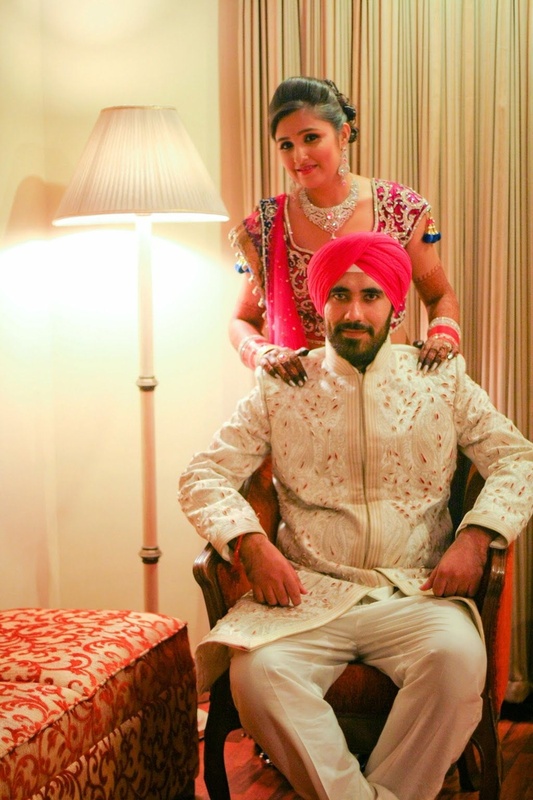 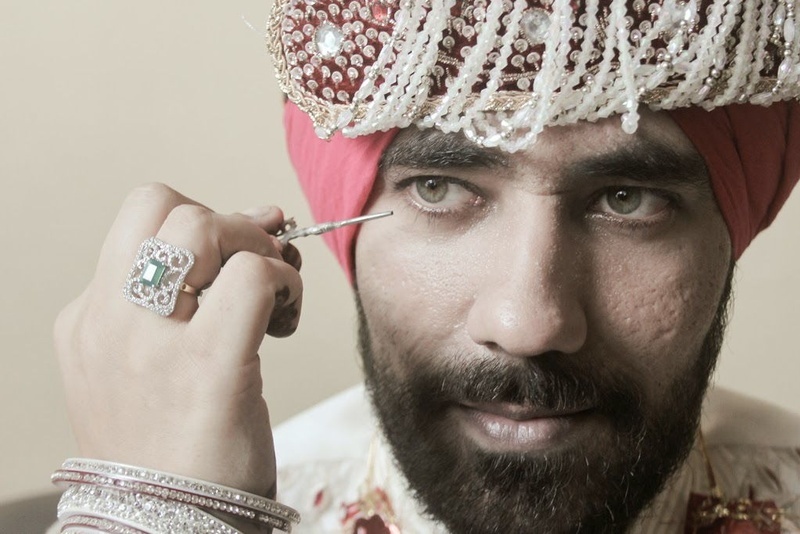 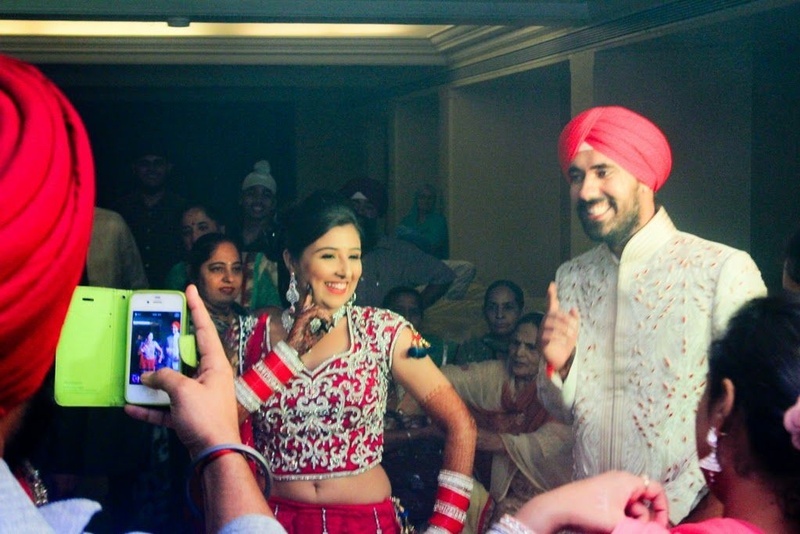 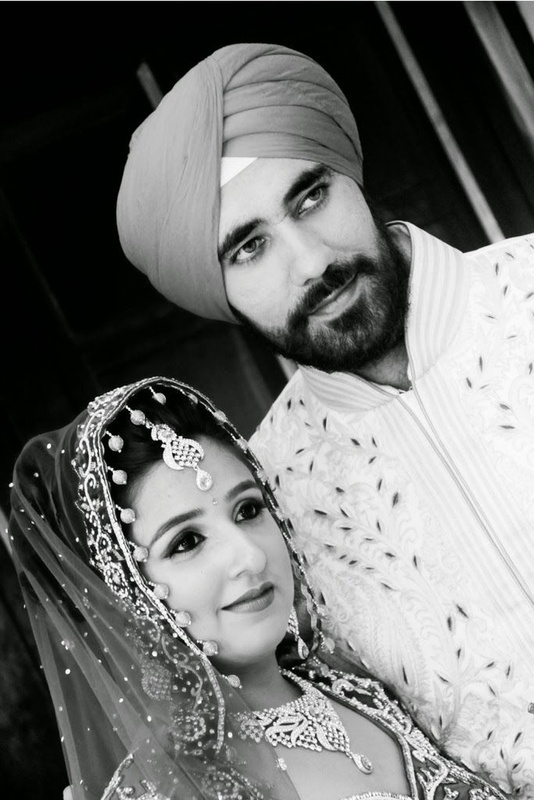 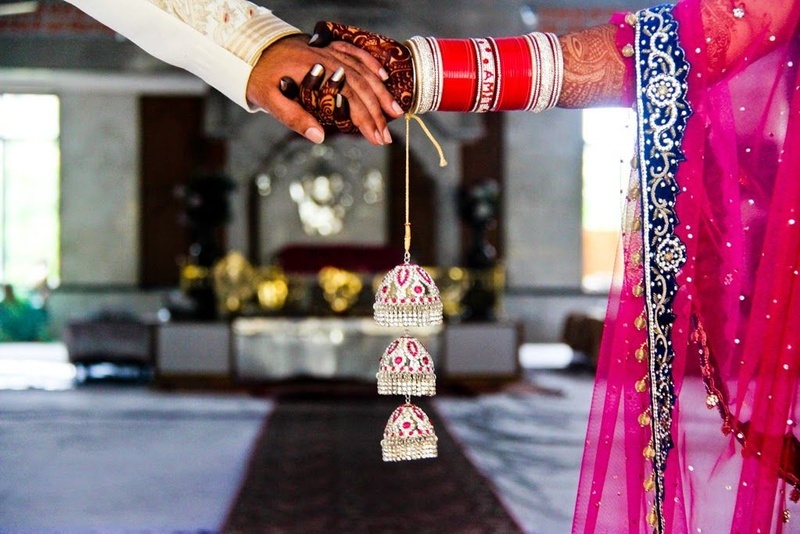 The groom wore a cream shervani with a neatly tied turban and a kirpan in his hand. 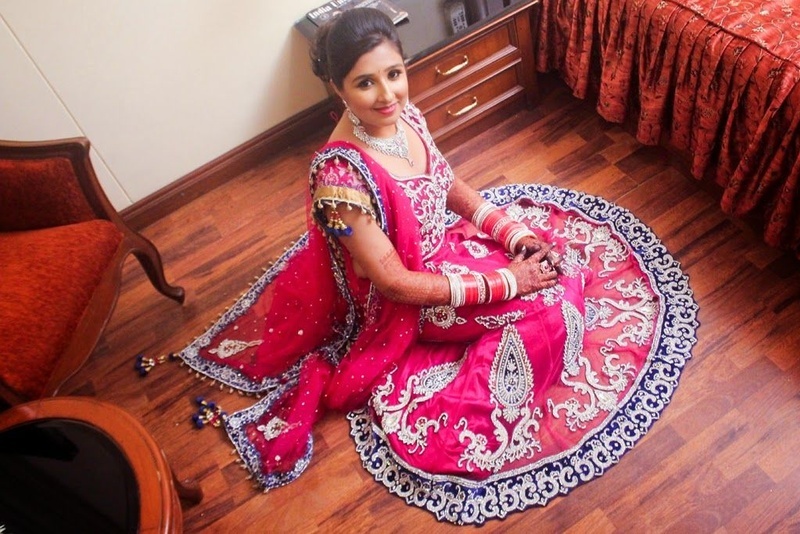 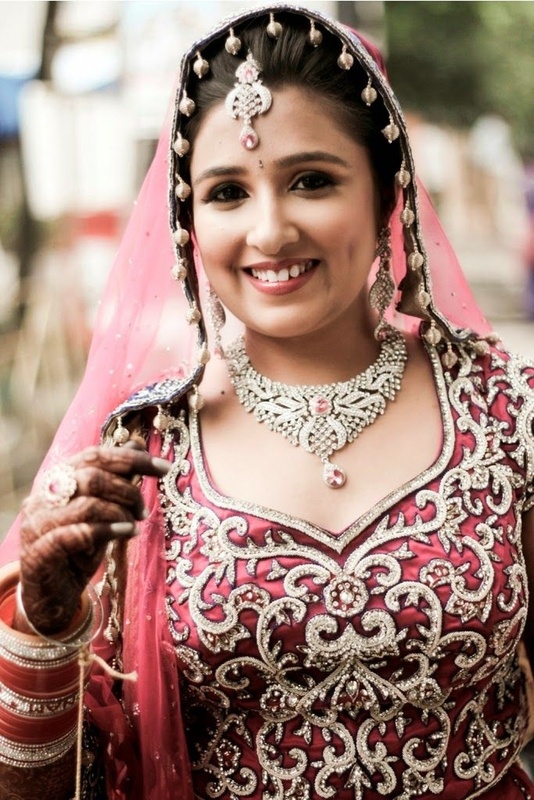 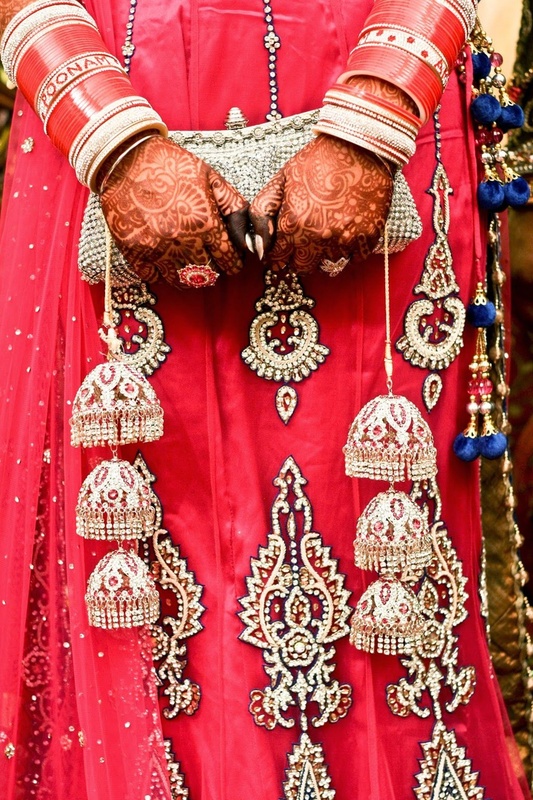 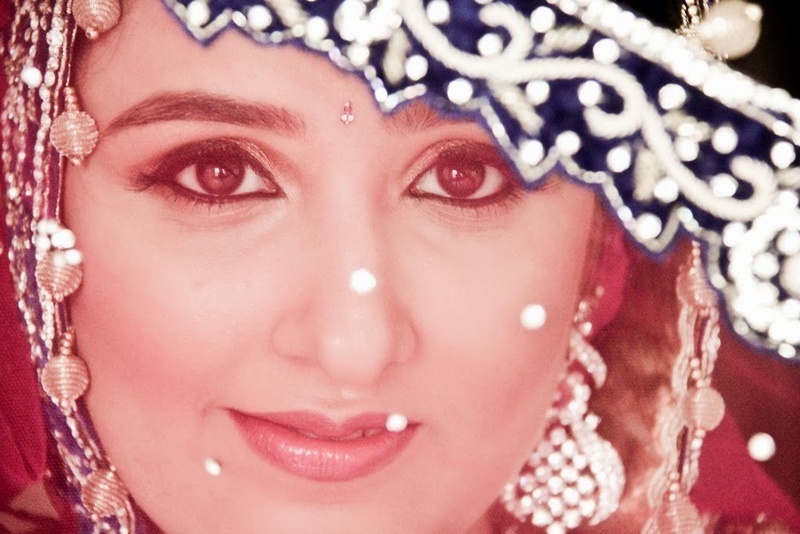 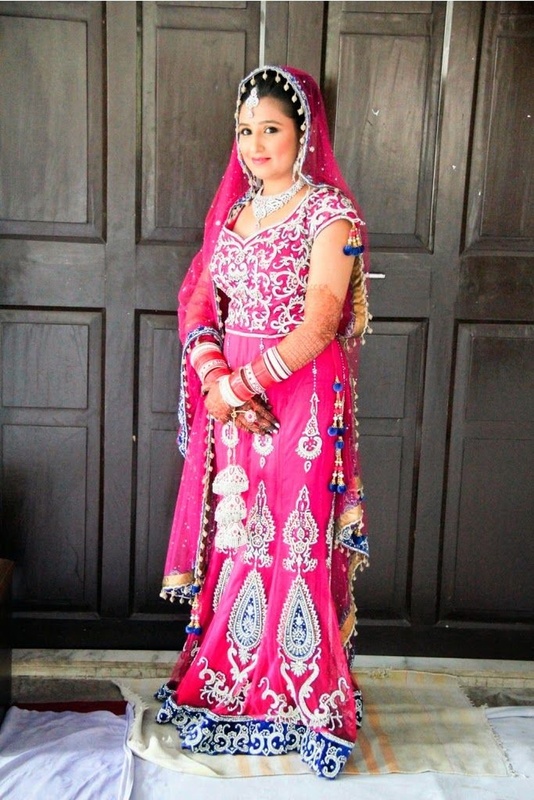 Bride wore a pink and silver lehenga with a beaded border dupatta that had beautiful purple tassles. 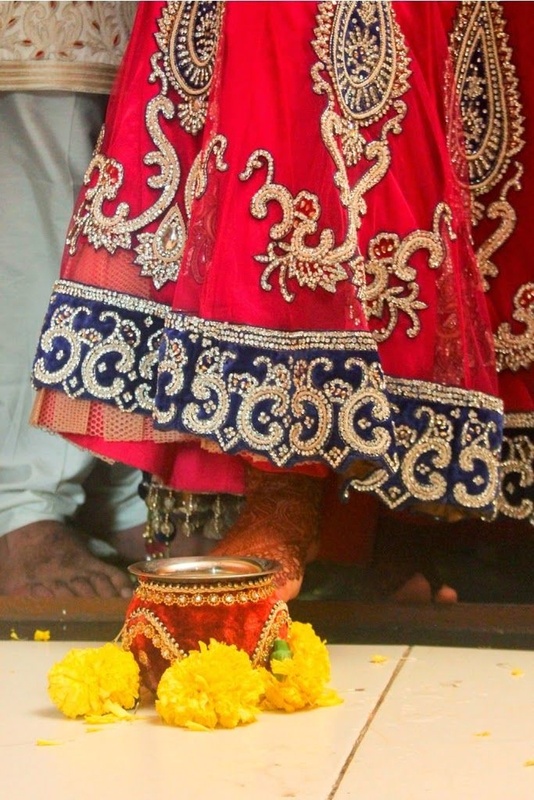 She also wore a matching pair of kaliras and choodas with Amit’s name engraved on it. 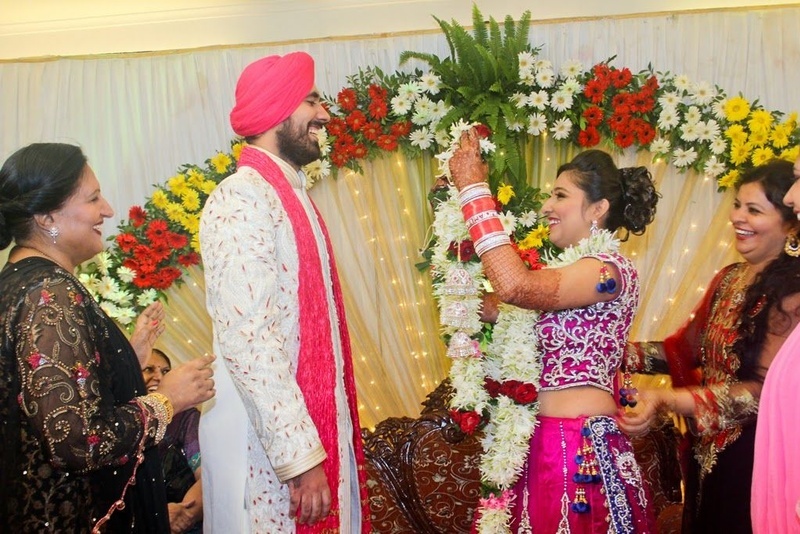 The jaimala ceremony turned out to be hilarious as the bride playfully struggled to put the garland over the groom’s head. 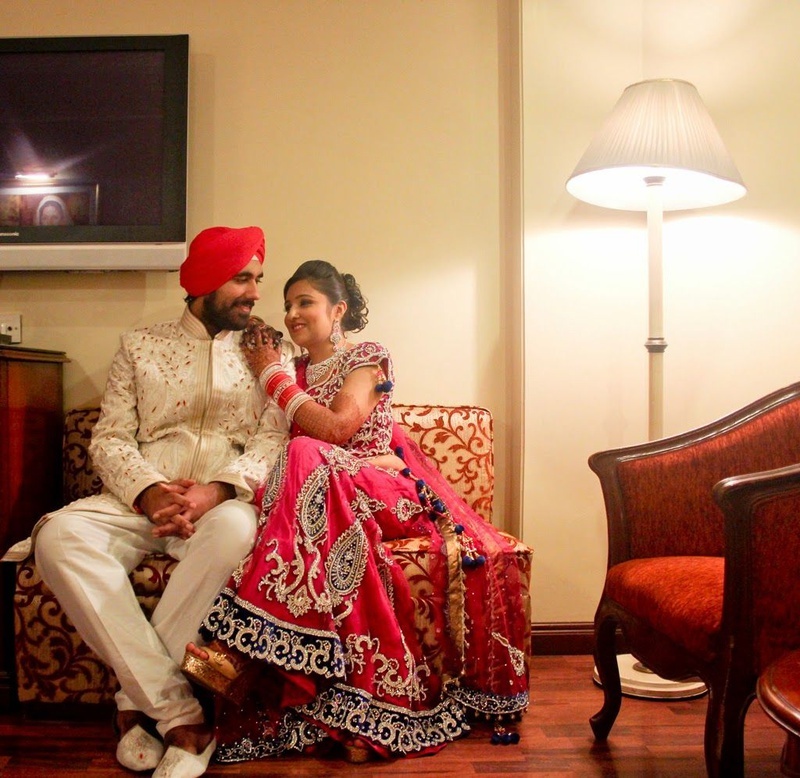 With twinkling lights, flower bouquets, and dual tone drapes, the décor was kept stylishly simple. 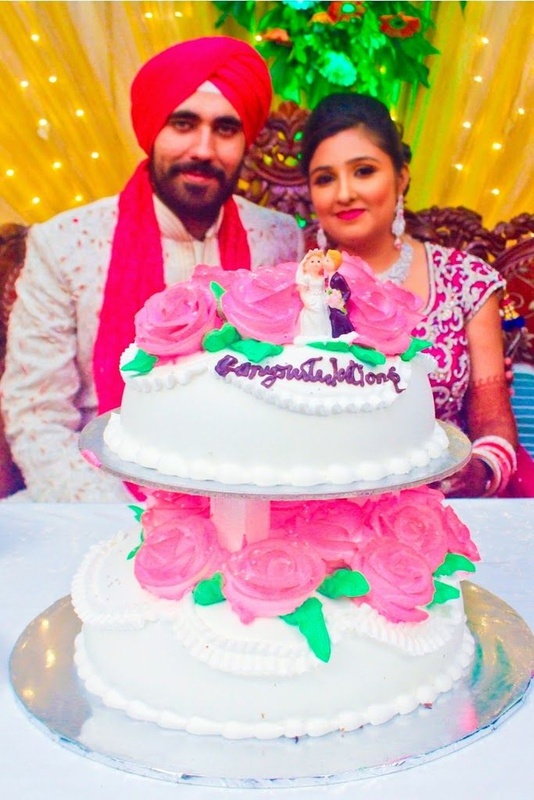 Their two-tier white wedding cake had floral icing with a romantic cake topper.